Healthy food choices are in abundance for most Americans. Fresh fruits and vegetables are just a short car ride away, if not within walking distance. But, for our Native American citizens, that is not always the case. Many tribes were forced into geographically-isolated reservations, and now many of their lands are classified by the U.S.D.A. as food deserts, located 10 miles or more from the nearest grocery store. This, among other conditions, is contributing to the food insecurity and related health issues countless Native Americans deal with every day. Learn more about Daniel Vega’s ancestral garden project. Learn more about how Chef Frank supports a return to ancestral diets. Learn more about food insecurity and gardens as a solution. 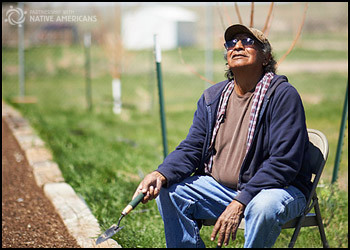 Help boost Native nutrition on the reservations. 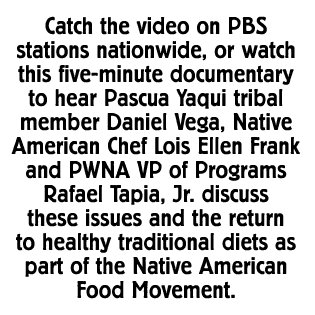 Get regular updates about PWNA’s nutrition programs. To learn more, call 800-416-8102. 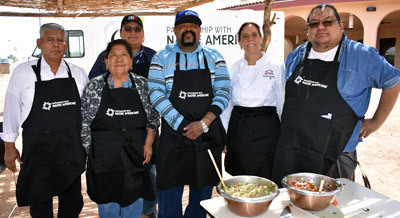 With support of the Walmart Foundation, PWNA invested in these Native nutrition projects implemented by the Pascua Yaqui tribal community, as well as other community garden projects, nutrition training, and produce distributions.